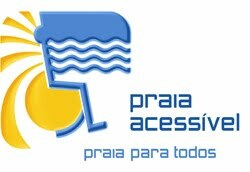 "Accessible beach, beach for All" 2014 list. This initiative started in 2004, and is a partnership between several institutions: National Rehabilitation Institute, Water Institute, Tourism of Portugal and the Instituteof Employmentand Vocational Training. (*) Beach waiting for confirmation. Next ›"Casados à força" teatro inclusivo.